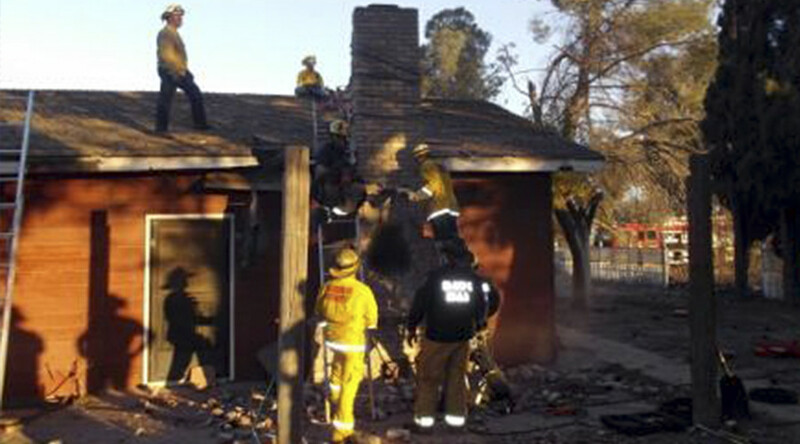 A suspected burglar tried to enter a house in California through its chimney, getting trapped inside it for a day. He died when the homeowner returned and lit fire, unaware that there had been a person inside. Fresno County Sheriff deputies received a call at around 3:00pm on Saturday from a man who reported that he had lit fire in his fireplace and then heard screams from the chimney, Fresno County Sheriff’s Office said on its official website. The homeowner, who had been away on Friday and had not known that somebody was inside, tried to put out the fire. However, the house was immediately filled with smoke. Firefighters sent by police dispatchers quickly started traveling to the scene. Ten minutes after the call the man reportedly was still alive. However, when the firefighters arrived at the scene and broke one of the chimney’s sides, the man who had got stuck was already dead. The man, supposedly a burglar, climbed into the chimney at night when there had been nobody at home and became stuck, according to preliminary information. The body has been removed from the chimney and is expected to undergo an autopsy that will determine his identity, and the precise cause and manner of death. An investigation into the case is currently underway. Police officers are going through evidence and talking to witnesses to establish details.